Comment: Donald W. Musser’s theological interpretation of the Romans text for today suggests that the text includes the following theological themes: universal inclusiveness (v. 11-13), the nearness of salvation (v. 8b-9), and God is the starting and ending points of our repentance and salvation (v. 12). 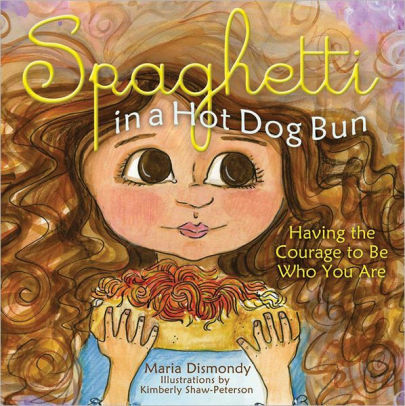 Dismondy’s book is a wonderful interpretation of these three themes for school-aged children. Lucy is picked upon by classmate Ralph for enjoying strange food (spaghetti in a hot dog bun) and for having unruly hair. This upsets Lucy, but she’s too bothered to share her hurt with her Papa Gino or teacher Miss Marcia. As she falls asleep, Papa Gino whispers, “Always remember, Papa is here for you. If something’s not right, we can work on fixing it together.” When Lucy is confronted with the opportunity to shun and mock bully Ralph, she remembers Papa Gino’s words: “Even if we are different from others on the outside, we all have a heart with feelings on the inside.” Ultimately Lucy and Ralph work out their differences in the story that illustrates for us inclusion, God’s presence in our repentance, and the nearness of God’s blessings. Comment: In her exegetical analysis of this passage, Sharon Ringe suggests that the devil is tempting Jesus to do good things (instead of bad-for-you things) in order to lure Jesus from focus on the will of God on which his ministry and mission are based. In the temptations, Christ is told, “if you are the Son of God, then…” Accordingly, Ringe suggests that the temptations are for the greater good of humanity. For example, “If you can turn this stone into bread, then surely you can provide enough bread for all of Israel and feed the hungry.” The board book All in a Day suggests that we are essentially guaranteed only this one day, so we must make the most of it. “The day’s all yours, it’s waiting now…see what you can do” are some of Ryland’s lyrics which help to remind us that there’s work to be done in each day we’re given, so let’s go see what we can do! Thanks to Union Presbyterian Seminary alumna Katie Barrett Todd for writing the Revised Common Lectionary Links this week. Lectionary Links (RCL): March 10, 2019 by Storypath is licensed under a Creative Commons Attribution-NonCommercial 4.0 International License.